Today is the 70th anniversary of the attack on Pearl Harbor, and it is a day that brings back a lot of memories for those who lived through those terrible hours. However as the march of time progress, the numbers of those who rank as survivors and eye-witnesses to the attack continue to dwindle – some estimate as few as 2,000. The following are excerpts from a couple of the stories offered in papers across the conference this morning featuring commentary and remembrances from those still with us. Whether you read the following, watch the videos at the link at the end of the piece, find time to hug a veteran in your circle of family/friends or just take a moment to say a little prayer of thanks, please remember those who have sacrificed so much so that we can freely anticipate the blessings of Advent. In American history, Pearl Harbor is not a place anymore, a bit like 9-11 is not a date anymore. More than just a description of where the attack happened, Pearl Harbor has come to represent the end of American isolationism and perhaps naivete and the single event that forced the U.S. into the role as the mightiest democracy on earth. This day brings back a lot of memories for Bob Hanna, mostly ones he doesn't like to share. Hanna isn't eager to relive a surprise attack 70 years ago today, one that caught the U.S. military in Hawaii flat-footed on a Sunday morning. Two hours after the Japanese roared over Oahu, more than 2,400 people were dead, 21 ships sunk or heavily damaged, and almost 350 planes destroyed or damaged. There's not much to say when you get whipped, Hanna said. "We didn't spend a lot of time talking about it afterward," he said. "Not good for morale, you know." "It's impossible for people to understand how totally surprised we were and how unprepared we were," he said. 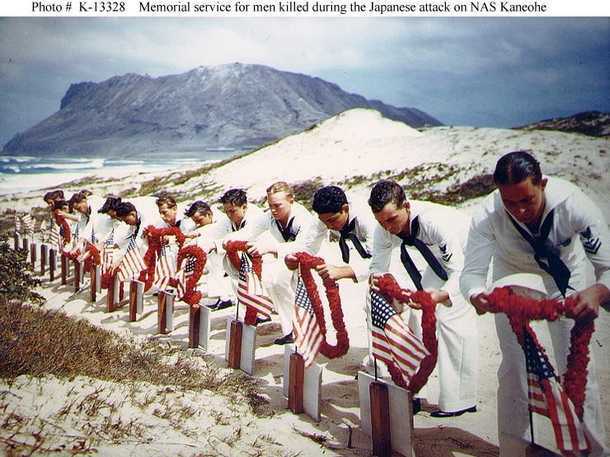 As Japanese dive bombers and fighters gathered unseen in the air for the attack, Hanna was sleeping in his bunk at the naval air station at Kaneohe Bay, several miles from Ford Island where the big battleships were moored. He'd been out late the night before with a bit of weekend liberty. 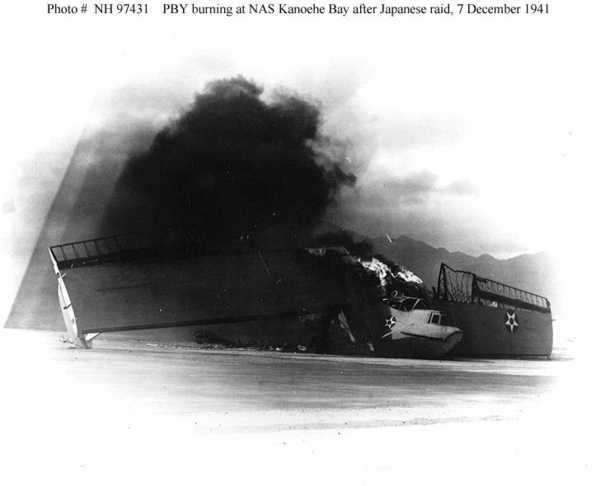 When the first wave of Japanese aircraft appeared over Kaneohe Bay, Hanna heard a commotion that he couldn't quite understand for a Sunday morning. "In comes Shorty Lunn, waving a .45 in the air," he said. "That got my interest. I ran outside and saw people running around and saw planes strafing us. At that moment, I didn't know who it was or why it was happening." He jumped aboard a firetruck and headed to the hangars first, then eventually made his way to the armory, where a bomb blast knocked him over but didn't wound him. He also said he spent some time hugging the ground. “They were strafing the firetruck when I was hanging on it, and a guy got hit," he said. "I'll remember that sound forever." One man, Chief Petty Officer John W. Finn, earned a Medal of Honor at Kaneohe Bay that morning when he found a .30-caliber machine gun, carried it out into the open with a makeshift tripod and spent the entire attack shooting at the planes. He was repeatedly wounded but never left his exposed position. Finn died last year at age 100. Hanna said he has always believed that another sailor should have earned a Medal of Honor that day, a young man named Richard Sands. A great many officers lived away from the air station, hangars and runway and never made it to the site of the attack, he said. "He was a [petty officer] second class, and he took charge," he said. "If he were alive or if I knew how to reach his relatives, I would tell them that he deserved the Medal of Honor." You can read the entire Star-Telegram article at star-telegram.com. Georgetown resident Alfred Dula, 91, said he still remembers what first caught his eye 70 years ago this morning. He was about to eat breakfast when he looked through the window of the mess hall at Camp Malakole on the island of Oahu in Hawaii and saw a line of flame going by, he said. Dula ran outside and looked up at the plane flying overhead. It was a Japanese bomber, and it was firing on the camp, he said. "I ran straight to the barracks and said: 'Get up. We're being attacked.' But people didn't believe me, and I had to throw some of them out of bed," he recalled Tuesday. But Dula, a National Guardsman, didn't yet know how massive the attack was when he grabbed his rifle, a bolt-action Springfield, and ran to join a squadron with a machine gun outside the camp barracks. "I wasn't frightened," he said. "I said, 'Let's go get them.'" 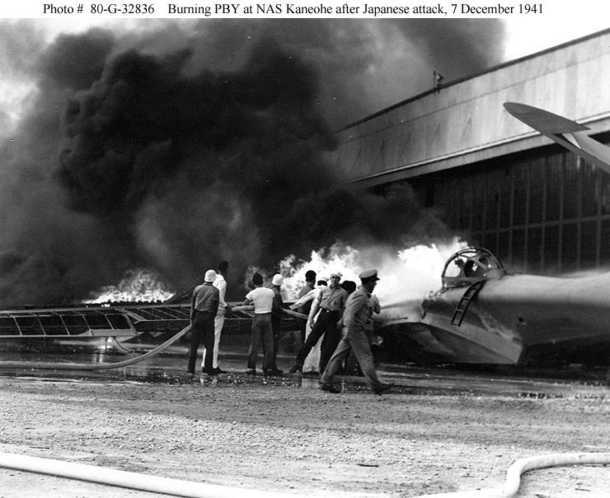 The Japanese bomber that Dula had seen earlier flew about 10 to 15 feet away, and he fired six shots at it, he said. The machine gunner behind him was wounded twice by the plane's fire, but the bomber went down in the ocean shortly thereafter, Dula said. He then headed with his squad to Hickam Field — Hawaii's principal Army airfield and bomber base — which the Japanese had also attacked. When they arrived, he saw burning planes and a mess hall that had been torpedoed. "The American flag that was flying was in tatters," he said. 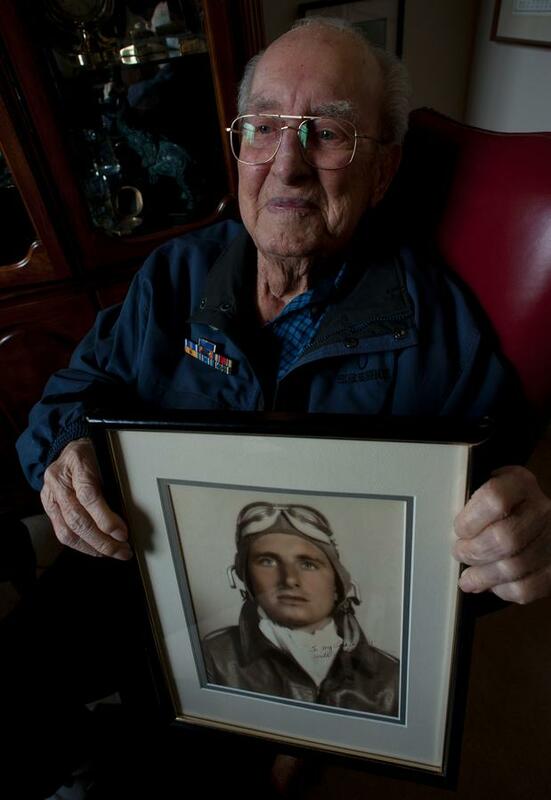 Dula became an Air Force pilot in the 410th Bombardment Group after Pearl Harbor where he flew 46 combat missions during World War II, mostly in France, including the Battle of the Bulge. "I had to fly real low, at 1,500 feet, to get below the smoke," he said. "I was lucky." For his efforts, Dula received several awards, including nine air medals, the Distinguished Flying Cross and five battle stars. 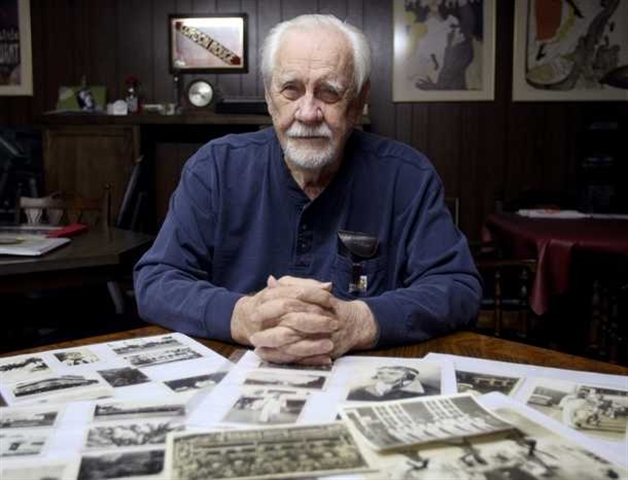 One of his sons has applied to authorities for Dula to be considered for the Legion of Honor, the highest medal that France offers to people who served, Dula said. He said he hasn't found out yet whether he will receive it. "They better hurry up while I'm still alive," Dula said, laughing. Click here to read the entire Austin American-Statesman article. 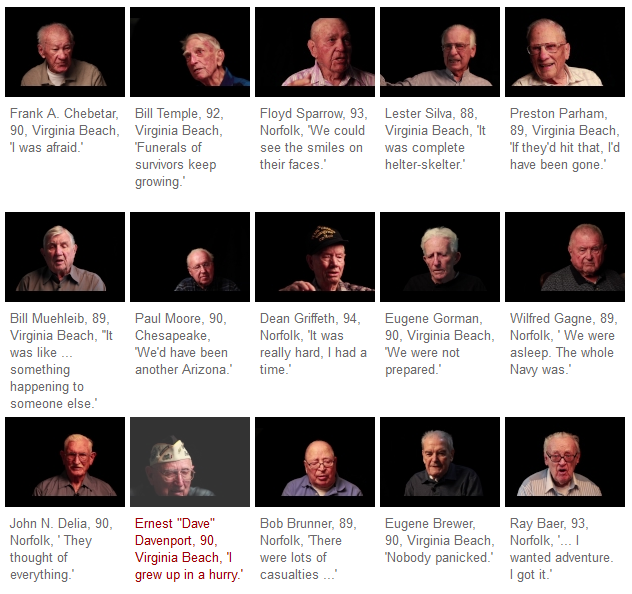 Click on the photo montage below to go to the Virginian-Pilot video page to hear what it was like to be in the middle of the battle 70 years ago.